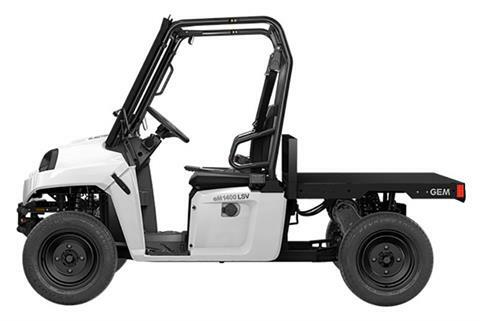 The GEM eM™1400 LSV is rugged, hard-working and legal to drive on public streets posted up to 35 mph. It delivers 1,250 lbs. of payload, 1,250 lbs. of towing capacity and an exceptional ride that could only be Polaris. 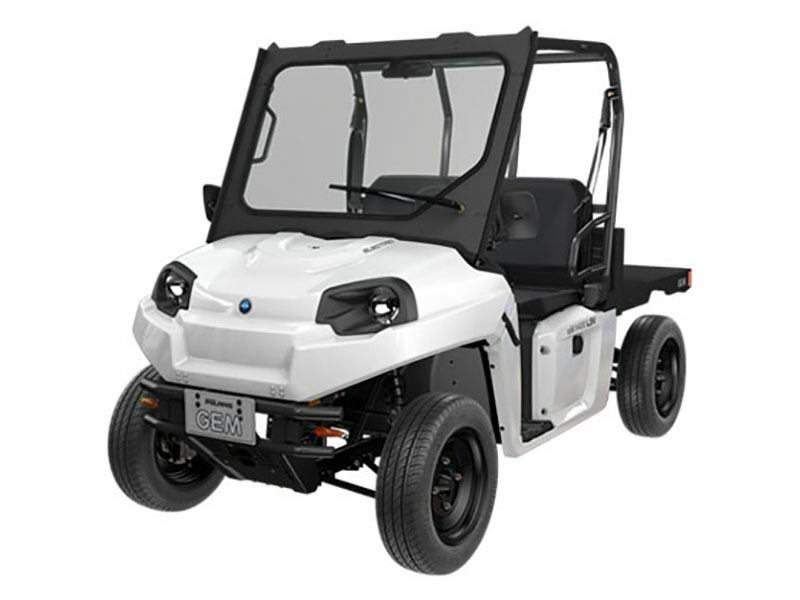 With a 7 hp AC motor, eM1400 LSV has a maximum speed of 25 mph and a range of up to 45 miles. When you need to work hard and traverse public roadways, the eM1400 LSV is the right solution. WORK IN COMFORT: With superior suspension, comfortable seats, optional doors and heater, GEM eM 1400 LSV offers maximum comfort. SAFETY FEATURES: GEM vehicles come with standard safety features such as 3 point safety belts, 4 wheel disc brakes and street rated tires. STREET LEGAL: The eM 1400 LSV is a street legal vehicle, meaning that you can travel from jobsite to jobsite with ease. SUSTAINABLE TRANSPORTATION: GEM vehicles are electrically powered, making them a sustainable alternative to gas powered trucks and vans. TOWING AND HAULING: With a payload and towing capacity of 1,250 lbs, the GEM eM 1400 LSV vehicle can haul some serious equipment. 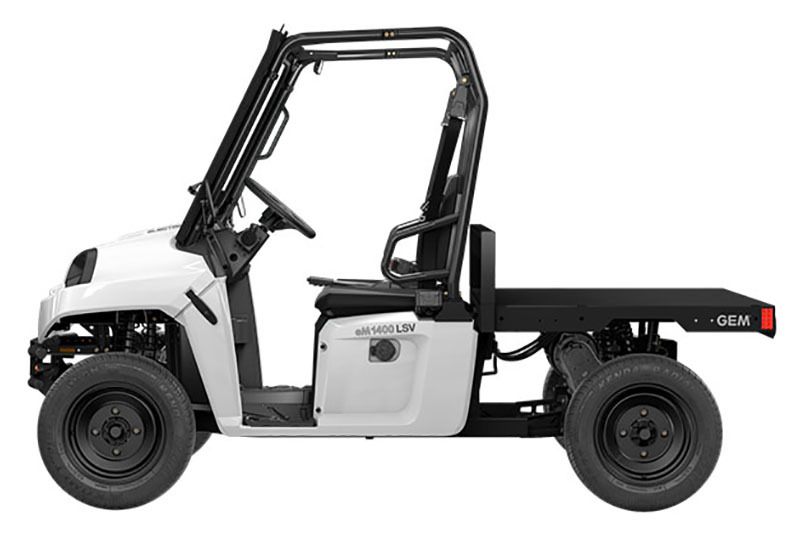 CUSTOMIZABILITY: The GEM eM 1400 LSV offers numerous carrier and cab options, and Lock & Ride® accessories to improve productivity.